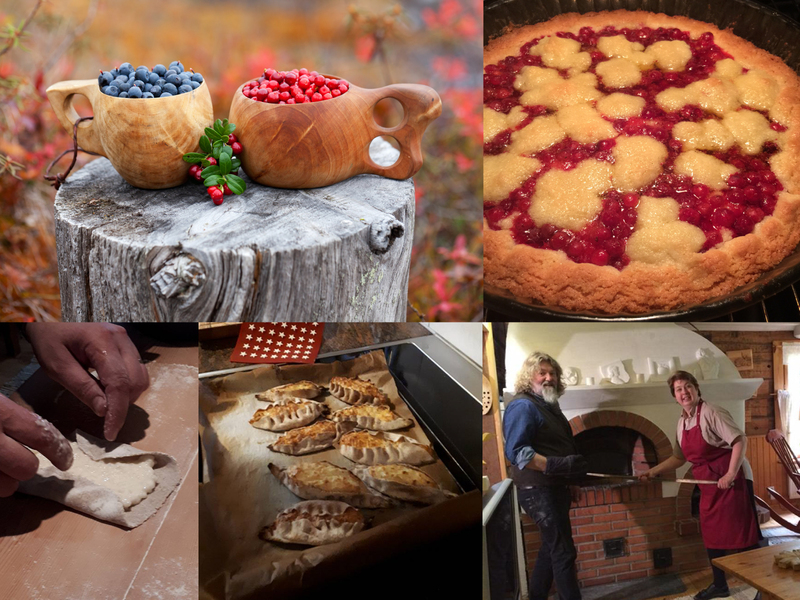 In Okkola farmwife’s pie workshop you´ll discover the old art of making tasty karelian pies! The hostess, Paula, will guide you through the knicks and knacks of baking these traditional delicacies with old family recipes. Visitors to the pie workshop will also experience a genuine Finnish country home. At the Okkola farmwife’s cottage, visitors will learn about rural entrepreneurship, local flavours and genuine Savo hospitality. The farmwife’s pies have all the scents and flavours to get the mouth-watering and the mood lifted. It is also possible to bake sweet berry pies at the groups request. The first step in making a berry pie is to go on a berry-picking trip in the nearby forest. Maximum group size is 10 persons. 65 €/person, minimum charge 325 €. Includes guidance, materials, coffee, tea and eggbutter with pies.